Discover Health and Wellness (Littleton) - Book Appointment Online! Searching for a Chiropractor in Littleton? Your search is over. 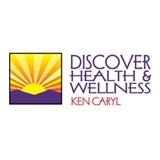 Our Discover Health and Wellness Ken Caryl location is located just off of West Chatfield Avenue and Shaffer Parkway. We serve the Littleton and Ken Caryl communities. If you want to feel your best or may have pain that is interfering with your life, come discover our Chiropractic Littleton location. Some of the many benefits to visiting us include an increase range of motion and higher energy levels. Do you feel you are as flexible as you used to be? Is your energy reflecting how energetic you really want to feel? Most people seek us out because they want to feel their best again. However, after you visit our Chiropractic Littleton location, you can also experience getting better sleep at night. Dr. Zagiba really cares. I was highly recommended back surgery and Dr. Zagiba has prevented that. He is also helping with my planter facitis. Dr. Zagiba always goes the extra mile. My daughter loves seeing Dr. Zagiba too. He will not tell you what you want to hear, his goal is healing.